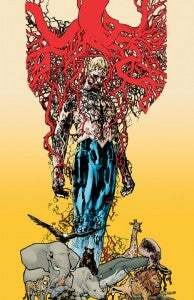 DC Comics writer Jeff Lemire announced today that he will conclude his run on Animal Man in March and that once that story is done, DC Comics have agreed to end the title as well. The series has been a critical and fan favorite since the launch of the New 52, the success of which has been a key part of Lemire's rise to prominence as one of DC's favorite writers since the relaunch. My run as the writer of Animal Man, and the series itself, will come to an end with March’s Issue 29, an issue which I will both write and draw along with Travel Foreman. 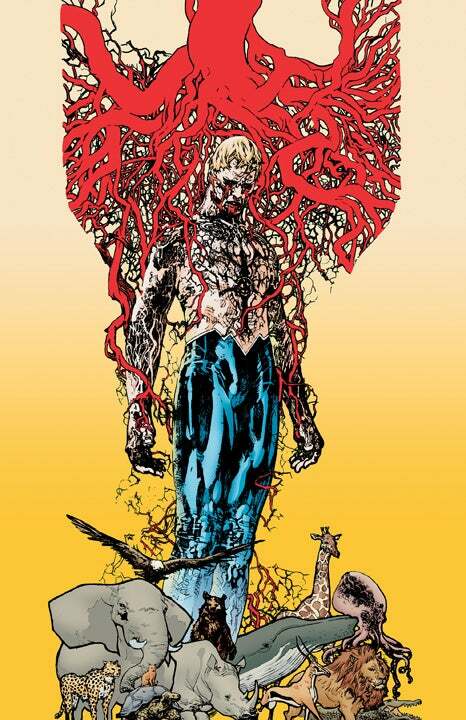 As sad as I am to be finished writing the solo stories of Buddy, Maxine, Ellen and Cliff, I am also excited to announce that I will continue to write the monthly adventures of Animal Man when he becomes regular member of the new JUSTICE LEAGUE book I am writing. After finishing the script for #29, I felt I had completed the story I wanted to tell with the Baker family and thought it was a perfect ending for the series. The best way for me to explore new things with the character would be to move him to a team setting and shakeup his status quo, DC agreed, and the Animal Man series will end with my final issue in March. And, that last issue will be even more special for me, because I have not only written issue 29, I will also draw the majority of that final issue as well! Original Animal Man artist, the mad genius that is Travel Foreman, will join me to illustrate a framing sequence for my pages. And, my Sweet Tooth and Trillium collaborator, Jose Villarrubia will colour my pages. Yesterday, Lemire was announced as one of four writers (with Dan Jurgens, Keith Giffen and Brian Azzarello) of The New 52: Futures End, the publisher's just-announced weekly event title.